I have worked remotely for a few years. Actually I have worked remotely almost since the beginning of my career. There was a time when I was heading to the office almost everyday, but it was just “almost” and I wasn’t able to hang on there for more than 5 or 6 hours. I love the mobility and ability to change the place I’m working from. Usually I work at my home office or on the terrace. Catching up with other team members is also important so this month I worked for a few days in our Bucharest office, and next month I’m going to start working in a co-working space once or twice a month. Sometimes changing to a completely different environment helps me to maximize productivity and keeps me happy. This summer I got a chance to stay in a cottage house in Uniszowa for a week and work from there. 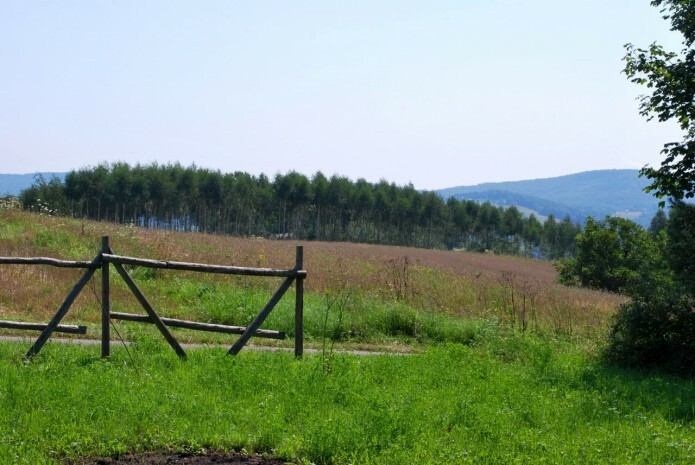 It’s a place located in the Western Carpathians, so calm that it’s hard to see any house in a neighborhood there. The only thing I needed to figure out was the internet access. Fortunately it was really easy as the cottage was in a 4G LTE network coverage so connection was even better than at home. I was only missing a comfortable chair there but a sunbed did the job for these few days. Photo above shows a lovely sight I had from my work space. What other places do you recommend for remote work?